To use Java 8 with Maven is easy. 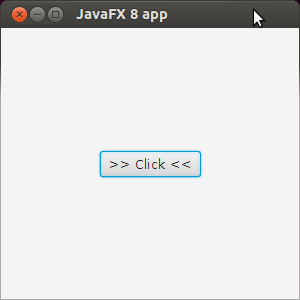 Maven already supports it and it's good for JavaFX developers that a Java 8 is a JavaFX 8 application already! To make easy the creation of new projects using JavaFX 8, I created an archetype for JavaFX applications. It will be useful for me, so it might be useful for someone else as well. What's so nice about it? Maven allows me to use the IDE I want(actually in this case we can't use Eclipse since it's not supporting Java 8 yet) and we can extend this archetype to, for example, add support to Android using plugins. Read more about JavaFX and Android. From this project we can also create complex application without depending on an IDE, just sit and start programming! Tobias Schulte made a version of this using Gradle. For more information see the repository he created on github. With gradle the buildscript is even smaller. Have a look at my fork at https://github.com/tschulte/jfx8-app. To build just type "./gradlew build", no installation of gradle required. To launch just use "./gradlew run". And integration into the major IDE's is as good as with maven. Thanks, Tobias! I updated the post with your suggestion!